On International Women’s Day (Thursday 8 March), some of the women who made the dangerous journey to Bangladesh, after escaping violence in Myanmar, tell their stories of violence and terror. They also share their thoughts on the future and how they are working to feed and care for their families. 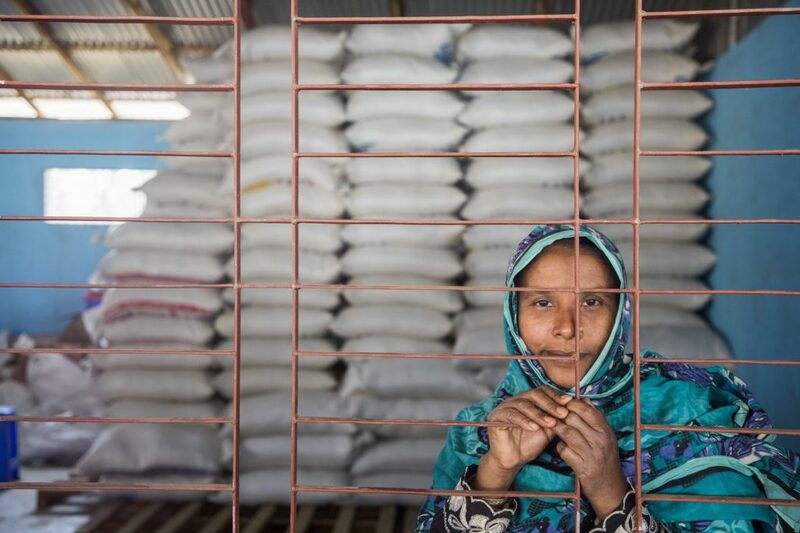 The World Food Programme (WFP) has provided 90,000 Rohingya with electronic vouchers, that families can use to buy the food they need from stores. These vouchers are being given to women wherever possible to empower them to make food decisions for their families. Aseya holds her 2-year-old child. Her husband is disabled and she provides for her family. Amina has been living in Bangladesh for one-and-a-half years. She has a husband and two children. “I came to Bangladesh because of the extreme violence. Violence broke out — people were being beaten to death, driven away from their houses and couldn’t move around freely. So when we fell prey to such extreme threats, we had to escape. Amina in one of WFP’s food distribution centres. 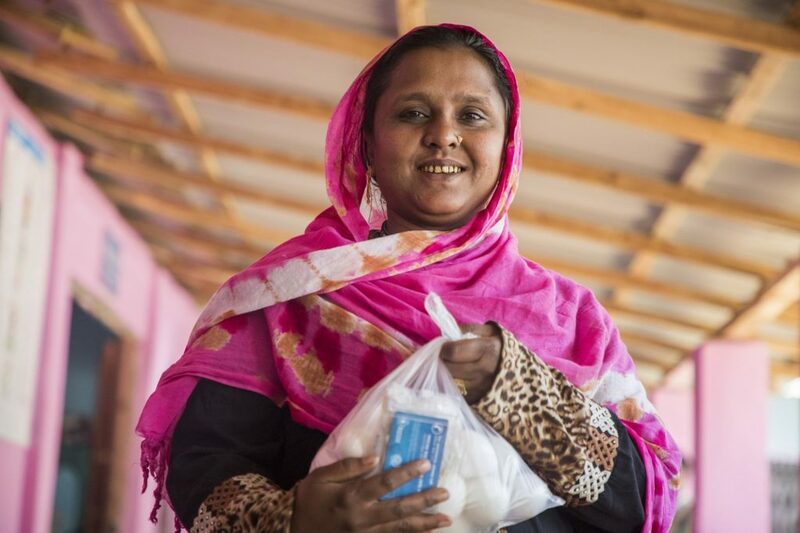 Amina now has one of WFP’s electronic food cards, and she can choose the food that she and her family need from a store. These cards increase dietary diversity and empower women to make the food choices for their families. “This is truly beneficial for us. We can find most of the items here and we can secure our food supply in peace and eat in peace. We don’t need to hustle in a queue to collect food items. We can now collect food with dignity. Sayera is committed to remaining in Bangladesh. 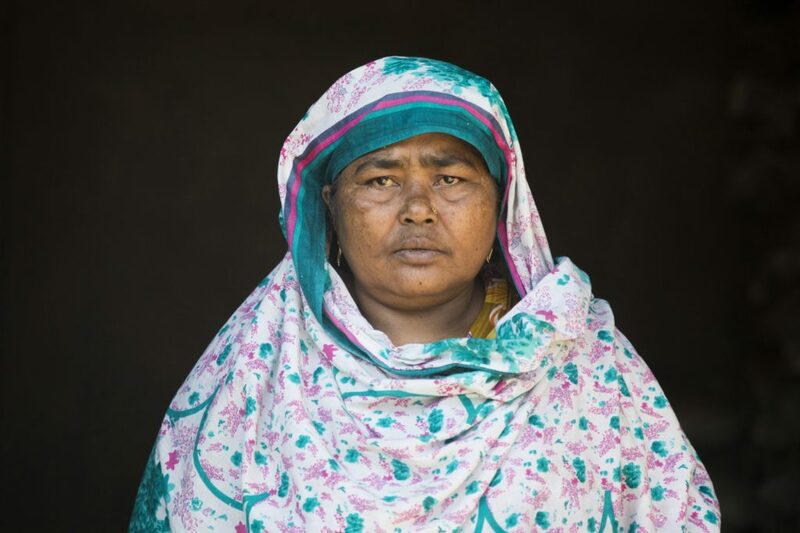 Fatema and her four children have been living in Bangladesh for one year. While fleeing violence in Myanmar, she and her husband became separated from each other. She hasn’t been able to find him since. Fatema received her first electronic food card from WFP three months ago. “I am very grateful to the people here. I got food from WFP, everyone helped us. With the food card, we can buy our own food when we want and as per our choice. I am immensely grateful for this as it restored my dignity. 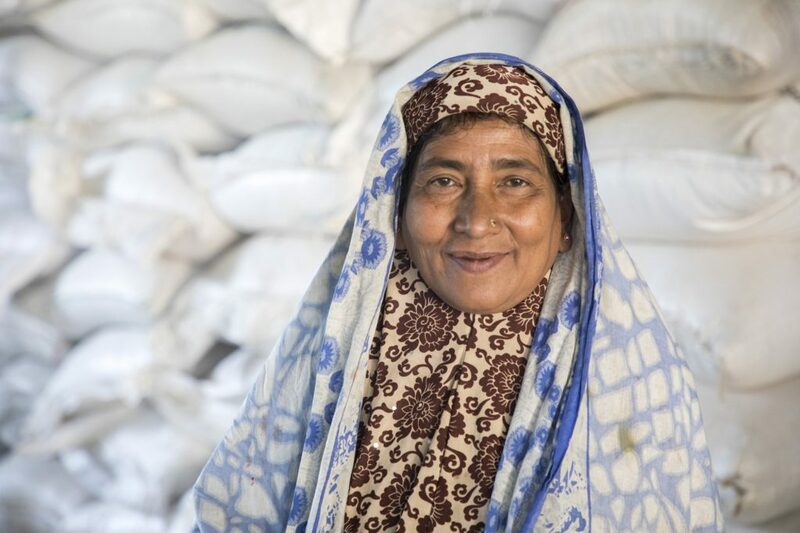 Mother-of-four Fatema is now able to support her children with food that they need. Khodiza has been a refugee for more than thirty years, when her family fled violence in Myanmar and found safety in Bangladesh. She has raised her family in a refugee camp; all six were born in Bangladesh. Khodiza has been a refugee for more than 30 years. “In Myanmar we had a lot. A lot. Abundance of food, land, we owned our own land, cattle, everything. But we had to leave everything behind. “When so many people from Myanmar started arriving here, I still had two of my sisters living there. Then, a few days back, my sisters stopped receiving my calls. Just two days ago, a neighbour received my call. They told me that my sisters were no more, both my sisters had died. I have lost my voice mourning for them; I miss them so much. “For a while, I used to stand in a queue for food supply. I am grateful for whatever people have given us. But the food I buy using this food card, it’s much more convenient. I can do my shopping in quiet, no chaos and I don’t have to stand in a line with of hundreds of people. 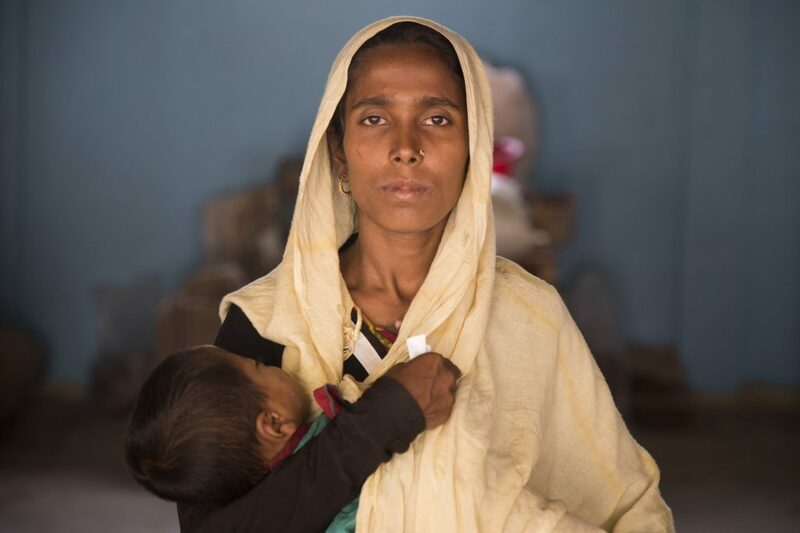 A newly arrived mother and her child at Kutupalong camp in Bangladesh. Before the outbreak of violence in Myanmar in August 2017, WFP was providing food and support to 34,000 registered Rohingya refugees who had been in Bangladesh for as long as 30 years. Their camps have now grown into the largest in the world, after more than 670,000 people have crossed the border and continue to do so. Since August 2017, WFP has provided life-saving food assistance to 880,000 refugees. We have established 17 feeding centres to support pregnant and nursing women and children under 5 and provide them with nutrient-rich foods. 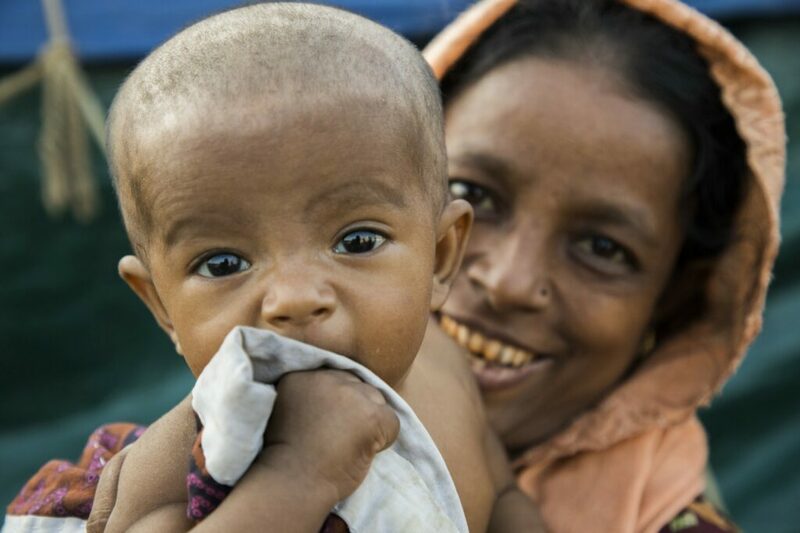 Learn more about WFP’s Rohingya response. Story written by Jessica Lawson.